In a not-so-surprising turn of events, former FBI Deputy Director Andrew McCabe is seeking immunity from prosecution in exchange for his upcoming testimony before the Senate Judiciary Committee on how the Justice Department and FBI handled the Hillary Clinton email server investigation, according to CNN. Call it bad semantics, but there is no “Fifth Amendment privilege against self-incrimination.” That’s a right protected by the Constitution. Whether anyone argues that if McCabe has nothing to hide he should be willing to testify under oath, he still has the right to remain silent, same as any other citizen facing the possibility of a criminal case. The revelation that McCabe is asking for such immunity has raised eyebrows, and speculation, but invoking the right to remain silent against self-incrimination is no less important than exercising the right to be represented by legal counsel. It is no less a right than that of free speech, freedom of the press or the right to keep and bear arms. That’s why the first ten amendments to the U.S. Constitution is called the “Bill of Rights” and not the “List of Privileges.” Some historians call the BOR the foundation of the Republic. 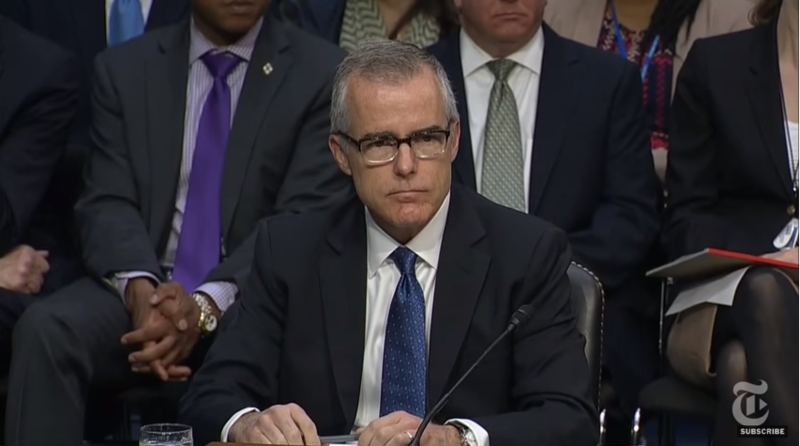 The Hill noted that there has been a criminal referral from the FBI’s inspector general relating to McCabe’s apparent leaking of information to a reporter and subsequently lying about it to James Comey, who was FBI director at the time. McCabe was fired in March by Attorney General Jeff Sessions. What McCabe is asking is that “no testimony or other information provided by Mr. McCabe (to the Judiciary Committee) could be used against him in a criminal case,” according to the Bromwich letter, as quoted by CNN. Some may be hoping that McCabe would “spill the beans” on the Clinton email server investigation. His request for immunity has reinforced the notion that there is something to hide. Maybe so, but getting to the truth probably should not involve stepping on the Fifth Amendment in the process.